Lloyd EcoDistrict is a living laboratory for sustainable community development that models change at a neighborhood level. We bring together residents, organizations, and businesses in Lloyd to educate, set goals, combine resources, and spark action. Lloyd is working collaboratively as a neighborhood to reduce energy and water use, lower waste generation, and promote an equitable and flourishing community with a thriving urban ecosystem. Model the Way Sustainable Leadership Awards recognize those amazing individuals, businesses, and organizations that are actively engaged in the community and acting as leaders in sustainability efforts. They are rolling up their sleeves and exploring new approaches to some of the most difficult issues we face in creating truly sustainable, equitable, and resilient communities here in the Portland area. Winners will be announced at the Model the Way Awards Ceremony on April 11, 2019 and on our website, social media platforms, and throughout our network. Applications are due by March 1, 2019, 5:00 pm PST. Are you an individual, business or organization doing radical, creative, and groundbreaking work to address sustainability? Do you know someone that is? If yes, the Sustainable Leadership Awards invites you to apply! Innovator: A driver of new ways to solve the complex challenges that our community faces. Not afraid to take risks on bold, new ideas. Open to disrupting the status quo and explores new ways to do so. 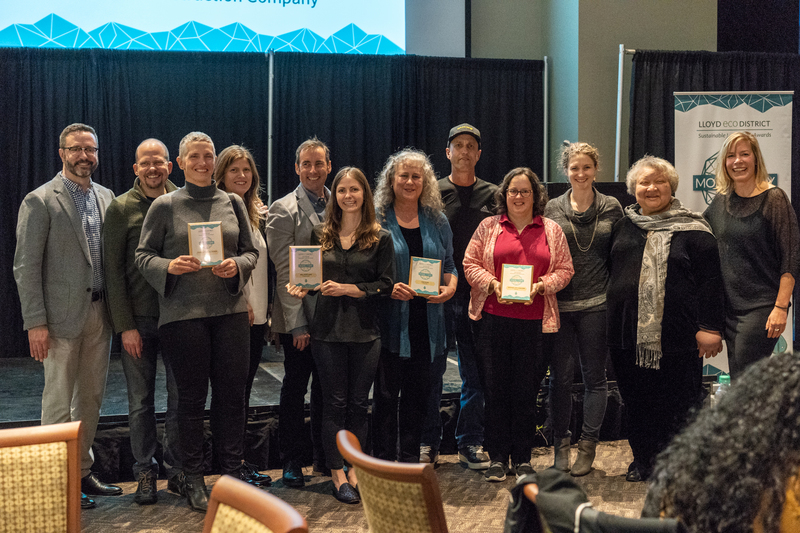 Cornerstone: A cornerstone in the Lloyd community or region whose work is purposeful, collaborative, and provides foundational support for initiatives which emphasize the triple bottom line. Collaborator: Has a demonstrated commitment to being connected to the community. They have a proven ability to serve the region through community building projects and provide resources and opportunities to support the growth of inclusive, sustainable, and creative partnerships. Visionary: Individual who is a thought leader in sustainability projects and bringing community partners together. They are curious to try new approaches and are willing to forge connections in the community. Please note: You will need a Google account to apply.